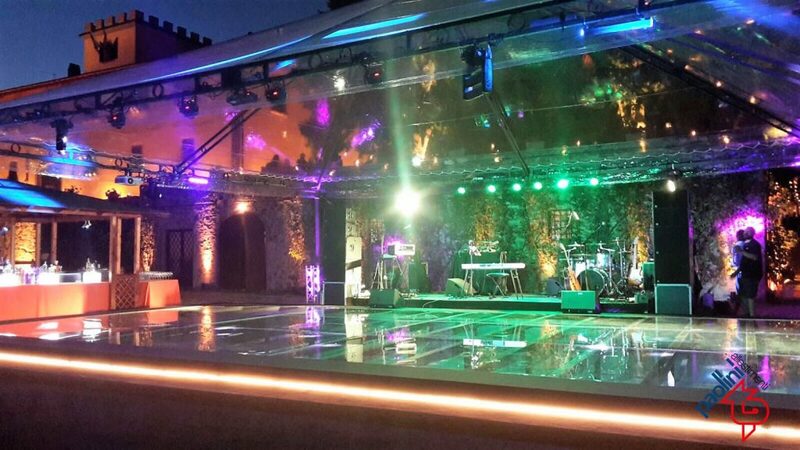 Luminous dance floors are made of modular panels in clear or opaque polycarbonate, installed on a galvanised steel structure. 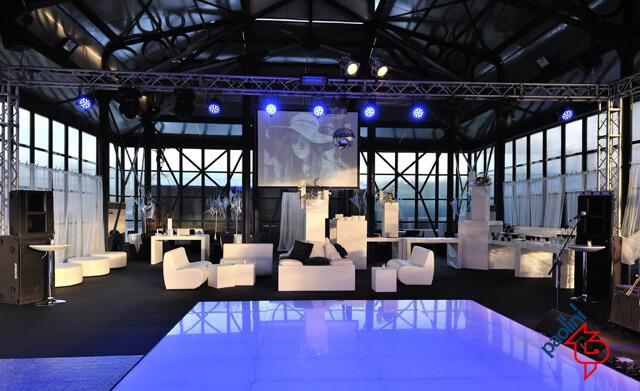 They can be of any size and adjusted in height according to the customer’s requirements and levelled according to the terrain. 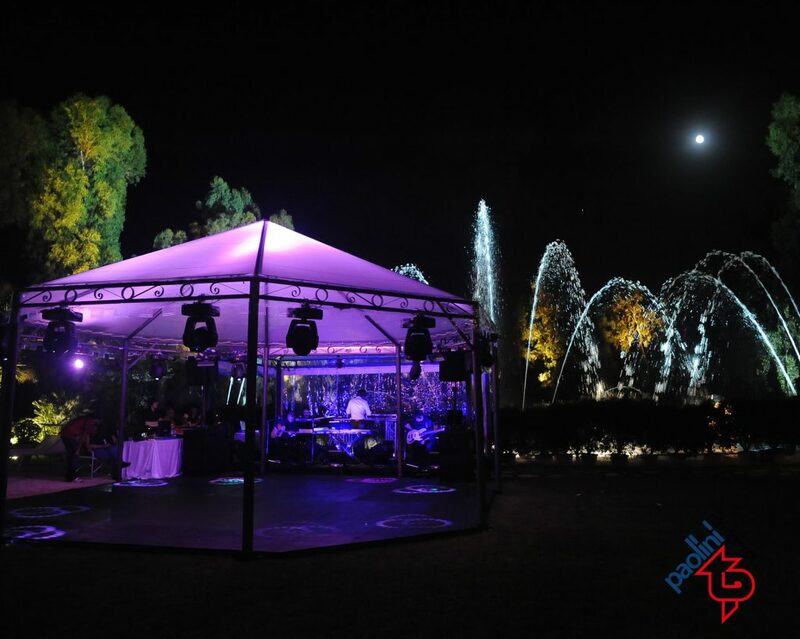 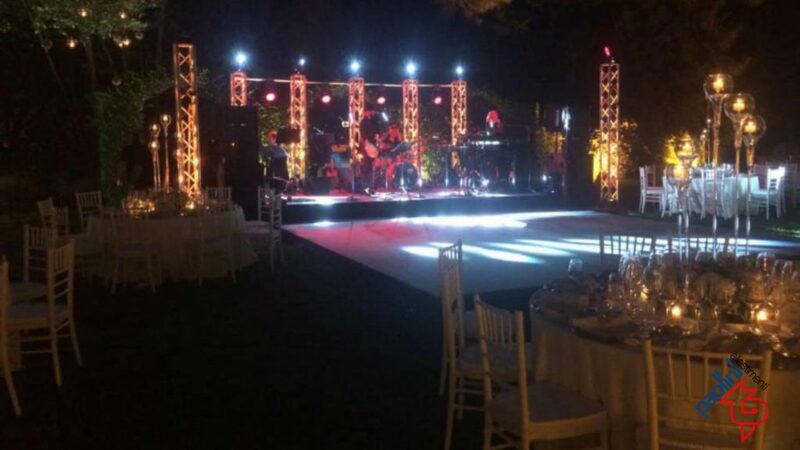 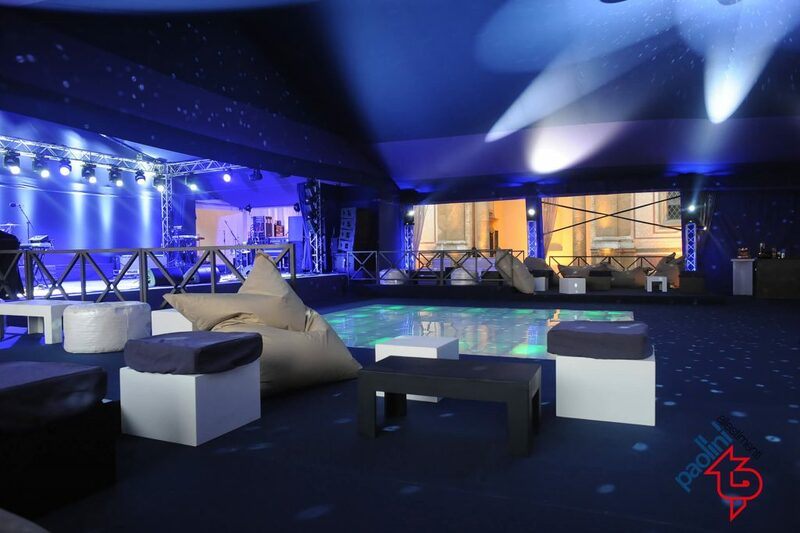 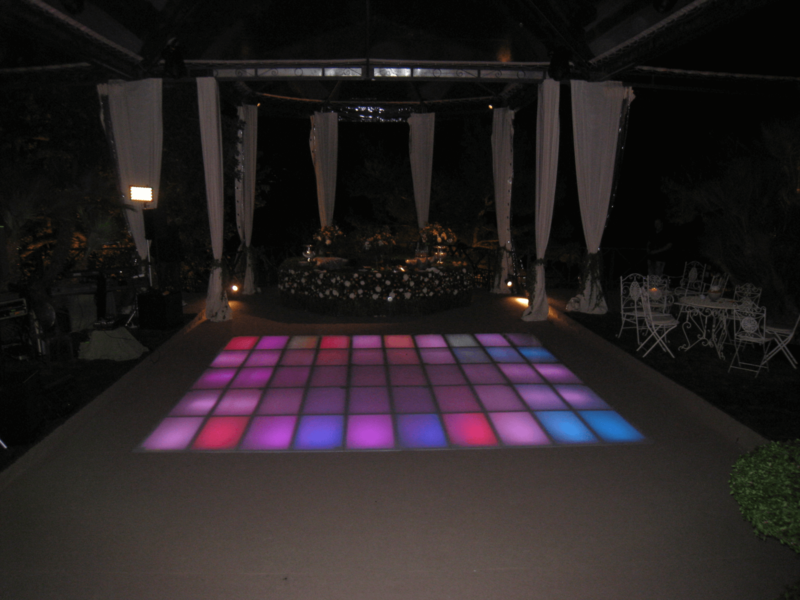 Dance floors can be set up near a swimming pool and in an outdoor or indoor setting to create a unique and scenic effect, and are the perfect complement for an 18th birthday party, a corporate event or the end of a private party with a flourish. 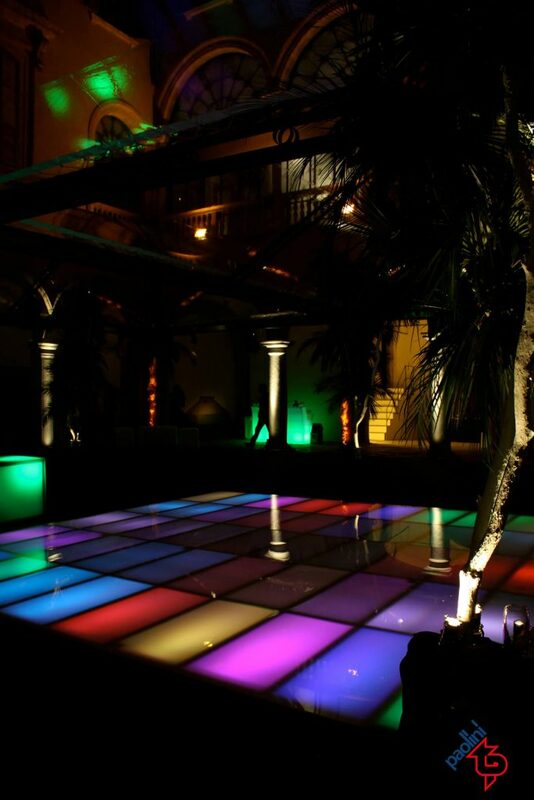 All this is thanks to the play of lights and colours that can be tailored to the customer’s tastes and choice of party. 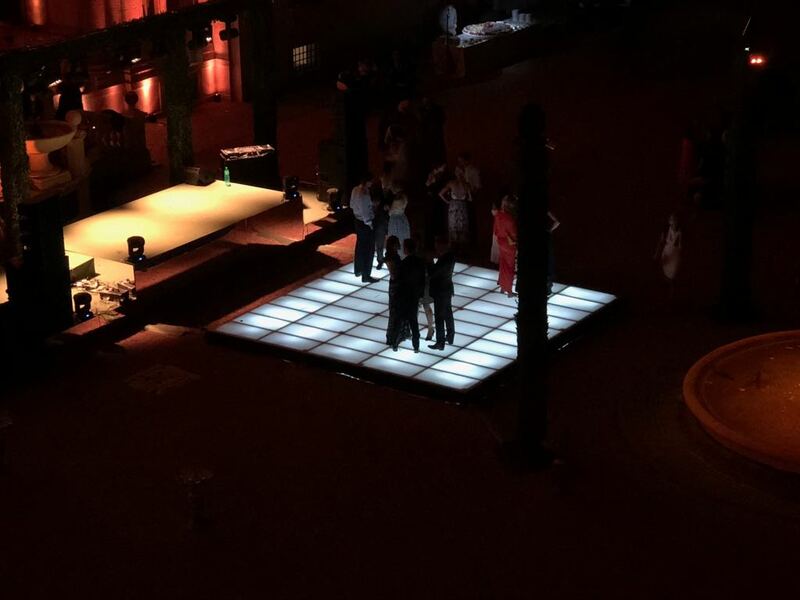 All the materials that make up the dance floors are certified and assembly and disassembly comply with current regulations.